Robots are the mechanical humans. Honda company was introduced its latest robot Asimo is a humanoid robot. This robot Standing at 130cm and weighing 54 kilograms. The robot resembles a small astronaut wearing a backpack and can walk or run on two feet at speeds up to 6 km/h. The name is an acronym for the "Advanced Step in Innovative MObility". from a Online magazine, The Future Of Things (TFOT), states that Honda did not name the robot in reference to science fiction writer and inventor of the three rule of Robotics, Isaac Asimov. The transliteration of as “asimo” uses the of romanization rather than the more familiar Hepburn system of the romanization which renders it as “ashimo”. ASIMO is the culmination of two decades of humanoid robotics research by Honda company engineers. ASIMO robot can run, walk on uneven slopes and surfaces, turn smoothly, climb stairs, and reach for and grasp objects These are the advantages. 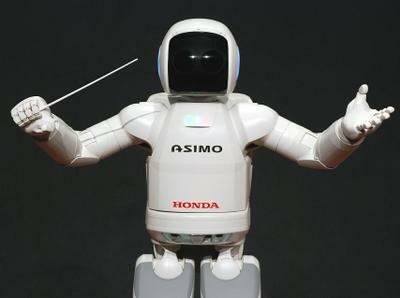 ASIMO can also comprehend and respond to simple and voice commands. ASIMO has the ability to recognize the face of a select group of individuals. Using its camera eyes, ASIMO can map its environment and register stationary objects. This robot can also avoid moving obstacles as it moves through its environment great technology. About Face book | What is Face book?